Do what you can to prevent the spread of germs in your kitchen with Adcraft's Acrylic Sneeze Guard for RG-09. This sneeze guard, model RG-09/COV, is built to work with the 9 Roller Grill. Adcraft's Acrylic Sneeze Guard measures 23.19" x 16.16" x 7.87". Using an acrylic sneeze guard with your 9 Roller Grill will stop bacteria from contaminating your grill and food products. Adcraft built model RG-09/COV out of acrylic plastic. Acrylic plastic is built to be durable and easy to clean. To clean your Acrylic Sneeze Guard for RG-09, simply wipe clean with warm soapy water. The sneeze guard's color is clear. Making the sneeze guard transparent is beneficial because it allows the grills food products to be viewed without lifting the lid. This transparency will clearly display your hotdogs, eggrolls and other delicious grilled foods. 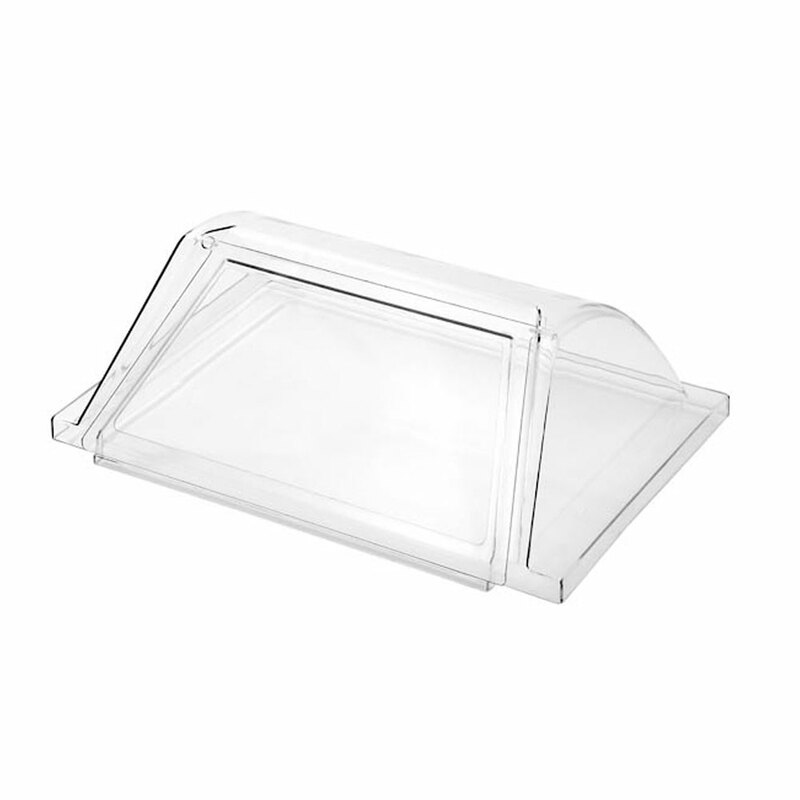 Purchase Adcraft's Acrylic Sneeze Guard for RG-09 for your kitchen. Dimensions: 23.19" x 16.16" x 7.87"